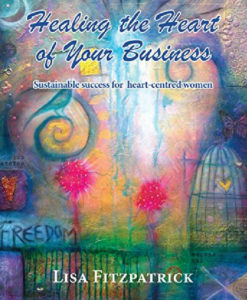 ‘Healing the Heart of Your Business – Sustainable Success for Heart-centred Women’ is for soulful women in business, who are seeking respite from the overwhelm. Conscious, evolutionary women in service businesses have specific needs, wants and desires. We want to make our significant contributions without suffering from burn out. We want to revel in our abundance but not sell our souls. We want to stay on purpose and go all out to live to our full potential. We want to honour our soul purpose agreements to give our gifts generously. We have families and loved ones to take care of through our businesses too. Falling in love with your business means waking up every morning to do what you love doing best. This book shows you exactly where you need to focus. The secrets to reconnecting to your deeper life purpose so that you can bring in greater levels of fulfilment to your business. How to fine tune the feminine art of receiving so that you can call in the abundance you deserve. Ultimate ways to honour your physical body for true holistic success and well-being. Secret ingredients to physical longevity and wellness in business The one critical tool most heart-centred women overlook and need to pay more attention to for greater sustainability and extraordinary results. Essential keys to becoming the leading lady in your life and business and how to become a self-determined feminine leader with heart ease.